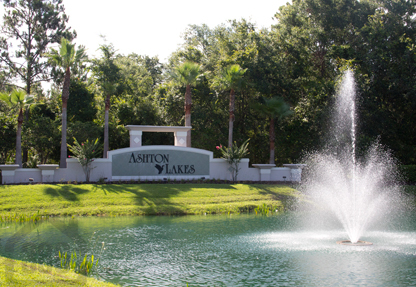 Ashton Lakes in Port Orange is a great place to call home for local families, retirees, and second home owners. This Port Orange neighborhood is conveniently located close to shopping, Port Orange restaurants, Golf & Country Clubs, Fishing, A+ Schools, and so much more. The home price range in this neighborhood can vary from the mid $100's to the high $400's. The convenient location reduces travel time to local shopping, Orlando attractions, medical facilities, and Daytona Beach. Most lots in Ashton Lakes have plenty of room for a pool, spa, and playground. Contact us for assistance with your Ashton Lakes real estate needs. Paytas homes designed and built this whole neighborhood and you can find quality home construction throughout this great location. Floor plans in Ashton Lakes include 3 bedroom 2 bathroom homes and 4 bed 3 bath homes. Many of the homes have lake views and inviting pools for relaxation.